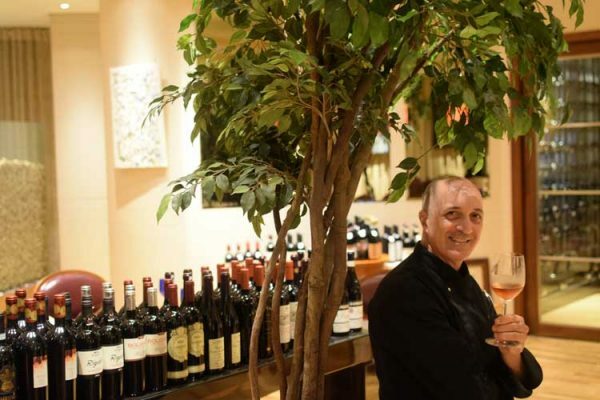 Coming full circle, Gabriel Fratini is back at DOMVS at Sheraton Towers on Scotts Road. This is where he started off in in Singapore four decades ago, before taking his Italian recipes to other countries in the region and the homes and palaces of the rich and famous further afield, before returning to Singapore. After selling his trattoria in Greenwood, Fratini finds himself in his old stomping ground. Domvs By Gabriel Fratini sits on the ground floor of the almost forgotten hotel, and should help the fortunes of this property as his fans troop in to rediscover his cuisine. Fratini brings his concept of fresh ingredients — he rides a scooter to the market everyday — and his contemporary take on Italian cuisine into this marble and glass venue. The flavours are more complex, the mix of produce more adventurous, but that old-style tiramisu is still there to seal the deal. Dressed in signature black, Fratini leads his team of six as they whip up an ever-changing list of items. Plated with deft artistic touches, the inspired dishes are best accompanied by a red or a white from one of the 400 Italian labels. “One week before opening the restaurant I painted all the pieces,” he says. He first exhibited his art at the age of 17. “I sold enough to buy a car,” he says. He would have to sell a lot more to do the same in Singapore’s cutthroat car market, even if each art piece is available for upwards of $4,000.